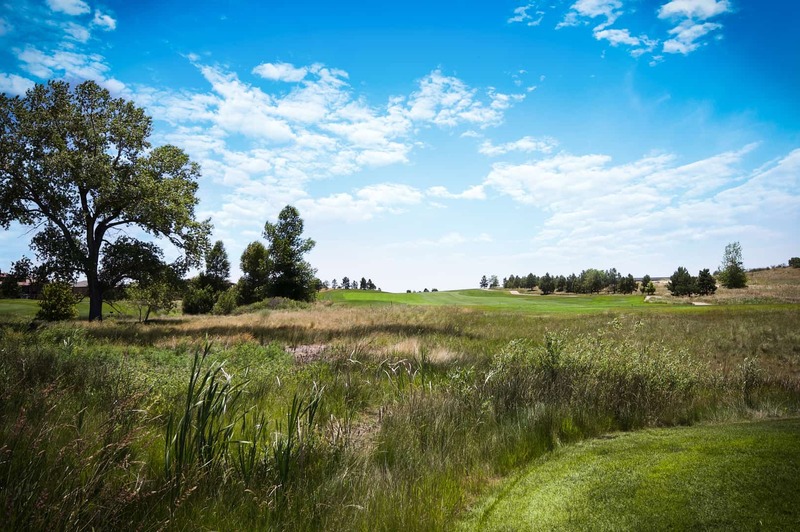 Imagine the unique opportunity to play 36-holes of legendary golf in Colorado, and you’ll find yourself at Flying Horse. Our 18-hole Championship Golf Course, designed by the legendary master, Tom Weiskopf is intended to be as challenging as it is inspiring. Since opening in the summer of 2005, the manicured greens with picture perfect views continue to impress members and guests, alike. 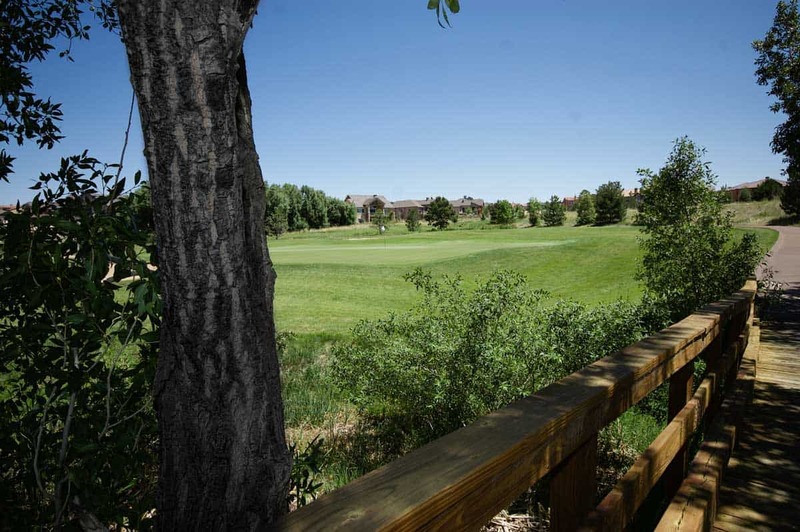 Plans for a brand new 18-hole Phil Smith Golf Course are also underway in Flying Horse North. This medium length par 4 showcases the decision-making characteristics that are the strategic basis of the Flying Horse Golf Course. The left fairway bunker is only a 170 yard carry from the back tees and shows the line for the best approach angle to the green. A drive hit too far right into this 70 yard wide landing area will leave a tricky shot into the shallow part of the green, over the right greenside bunker. This medium long par 3 offers plenty to ponder on the tee shot. The green sits on a left to right angle and is protected completely on the right by a large bunker. The green is two-tiered, and approach shots should depend entirely on the pin locations and wind. Soft mounds left and behind will help direct shots back onto the green and provide a bit of comfort to those not firing at the pin. Aim at the far left fairway bunker on the tee shot for the best angle to try to reach this par 5 in two. The three bunkers along the right side of the landing area help protect errant shots from finding the native grasses. The second shot requires a bit of a carry over a drainage way into a rather roomy approach to this narrow green that is well bunkered left and right. This green falls slightly away from the golfer, so shots coming in too hot may find themselves off the back of the green. Take off yardage at your own risk by flirting with the lake on this relatively long par 4. A carry over the left fairway bunker adjacent to the lake will provide the shortest route to this green which is protected along the left by water and behind with a bunker. A soft roll, right of the green, will steer bail out shots back a bit; however, the swale prior to the green could capture balls hit too far short and right. Probably one of the toughest driving holes on the golf course, this medium length par 4 offers a little bit of everything. The tee shot needs to carry the natural wetland and be placed well right of the two fairway bunkers. The green sits just beyond the outreaching branches of an existing tree left of the approach. Pick your poison on this short par 4. Playing the safe route to the right will leave a demanding second shot into a shallow two level green which is heavily guarded front and back by two bunkers. However, a more risky drive to the left, over the deep creek bank, will reward the player with a shorter approach into the length of the green. Many shots will be swallowed up by this spectacular eroded waterway if the correct angle is not taken, or the wind properly read. A true risk and reward hole, #6 will yield as many double bogies as it does birdies. At 232 yards, this is easily the longest par 3 on the golf course. The tee shot will always be dictated by the pin location, as the green is protected in front by a small bunker, dead center. A long approach beyond the creek on the left gives more room for error than the right; however, near the green a large bunker comes into play bordering the entire left greenside. The green is large and relatively flat, rewarding the player who hits the green in regulation. This par 5 will require three shots to reach for even the longest of hitters. The first shot is uphill and should be placed between the fairway bunkers. The second shot is up and over a small hill that creates a little mystery prior to approaching the green, but is easy to align with the aid of the directional fairway bunker. The green approach has a soft ridge to traverse and a swale around the left side of the green. A bunker right of the green will entrap any stray shots veering too far right. Members who play this course regularly will have a distinct advantage over any newcomer on this monster 600 yard hole. A relatively easy tee shot into the natural contours awaits the golfer on the final hole of the outward nine. Accuracy is at a premium for the approach shot as the green is well-guarded left and right by bunkers, and the green surface is bisected by a swale which distinctly defines three pinnable areas. Three putts could become commonplace if the pin is not precisely attacked. 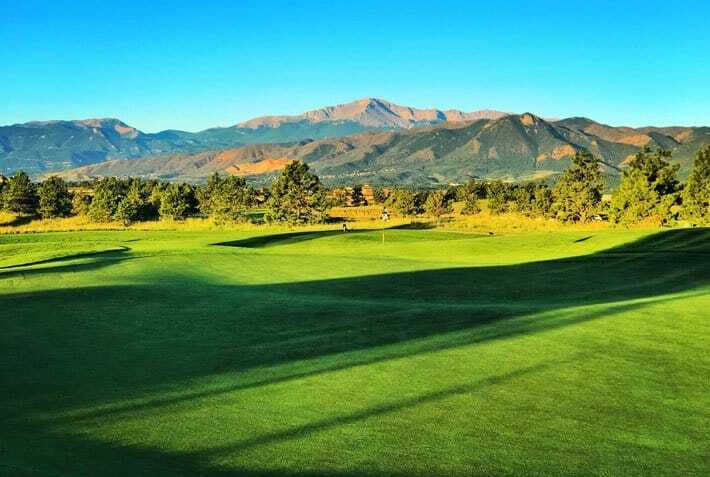 Beautiful panoramic views of the Rocky Mountains and the Colorado Springs countryside await the player from atop the 10th tee. This 550 yard par 5 will play shorter than its length because it plays over 70 feet downhill. Avoiding the bunkers left and right of the landing area is key if the goal is to reach this green in two. However, it may be wise to lay-up prior to the green, as it measures as one of the smallest on the course and could spell trouble if missed in one of the two bunkers or down the left hand embankment. Playing almost 50 feet uphill, this par 4 will play a bit longer than its 423 yard scorecard distance. The drive is a relatively simple shot up the hill to a wide open area. The green is nestled into the hillside with a deceptively short bunker on the right and a closely tucked bunker on the left. Natural rock formations frame this unique and challenging hole. Another beautiful tee shot awaits the golfer on the 12th tee. The back tee sits perched high above the golf course on the most elevated area on the site. This short par 5 can easily be reached in two with a well-placed drive; however, much trouble lies ahead to consume any errant second shots. A deep cross hazard cuts across the green approach just past the second landing area, with two well-placed bunkers in the bank face to catch any balls just clearing the hazard. It may take considerable skill to hold this medium-to-small green in two shots, but the reward could be an eagle or birdie. Don’t be distracted by the beauty of this par 3. Measuring at 198 yards from the tips, this hole is flanked in its entirety by a large lake on the left. Two bunkers right of the green should discourage the player from bailing out too far away from the water. The softly contoured three level green will place a premium on accuracy when attacking the pin. One of the most spectacular holes on the golf course, the fourteenth plays across a lake and over a dry creek twice, before terminating at a narrow green. Needless to say, no bunkering is required on this long par 4. Mother Nature has provided all the strategy needed to make this a truly challenging endeavor. At 333 yards from the back tee, this hole is the only true reachable par 4 on the golf course. Beware to those who try to drive the green, as the ample fairway begins to narrow quickly just past 260 yards and continues to do so to the green. This putting surface is wildly undulating and surrounded by three bunkers, proving that your short game must match your power game to conquer this delicate “little” hole. Accuracy is the name of the game on the final par 3 of the round. Two bunkers protect a narrow 30’ gap into this perched green. The bunker behind will catch any shots misclubbed or hit thin. The green surface may look relatively flat; however, beware of subtle breaks and deceiving slopes which may tend to trick the eye. Playing into the natural hillside, this long, narrow par 4 will test the golfer’s endurance. A drive just right of the left fairway bunker will give the best visibility into the long, narrow green. Surrounding the green’s complex are three bunkers, two of which are above and left and one large one on the right, which could help the player by “catching” errant shots before they kick down to the creek bank below. This long par 4 plays opposite in direction to the 17th hole, giving the golfer the opportunity to play one of these two long holes into, or with, the prevailing wind. This spectacular finishing hole plays around the natural hillside and rock outcroppings that make this site so beautiful. A par on the final hole may be a challenge, as the bunker short and right of the green may provide a lot of conversation from fellow members overlooking the green from the clubhouse.